Is your liquor store properly insured? Owning a liquor store means providing a product that is a large part of most celebrations, and it’s something that will never go out of style, but your potential risks are as big as your potential benefits–your liquor store insurance coverage should be a big consideration in your business planning. As a business owner you choose the endeavors that will hopefully be the most rewarding, both financially and otherwise; you’ve probably given thought to your shop’s location, and the stock you’ll carry, and you probably know some of the basic risks. Deciding on the amount and type of liquor store insurance to purchase can feel almost like gambling; do you really need to take on more overhead in the form of bigger premiums? If it covers your general bases, like slips and falls, does your liquor store insurance really need to do more? 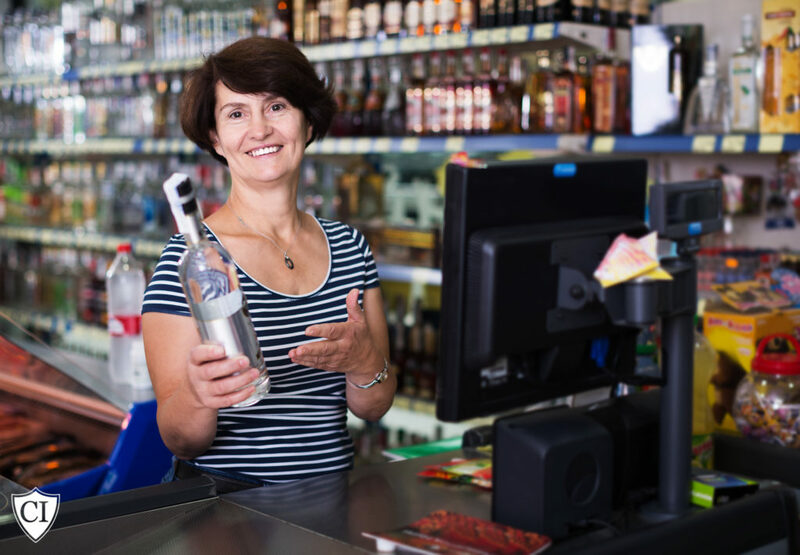 A good rule of thumb when comparing quotes for liquor store insurance–or any business insurance–to look at coverages in addition to costs. Many business owners looking for a streamlined solution opt for a “BOP” or Business Owner’s Policy. Business Interruption. This is a coverage that can help you meet your obligations in case an event occurs that temporarily sidelines your income. Commercial Property. The building and equipment you use should be covered by a commercial property policy. General Liability. This is a basic, foundational policy that can help with damages if you’re found liable for injury to a third party. Employee Dishonesty. It is possible to protect yourself through endorsements on your liquor store insurance from certain acts by employees. Crime Insurance. It’s an unfortunate fact that liquor stores are often targeted for robberies; ask your insurance professional about coverage for your liquor store insurance that may cover costs in case of robbery. Umbrella Coverage. The number of lawsuits brought against liquor stores should highlight the wisdom of considering additional coverage for your liquor store insurance policy; an umbrella policy extends the limits of your coverage in case it’s needed. It may seem as if liquor store insurance is simply one more cost to take into account, and another expenditure that you can economize on, but consider how expensive a lawsuit can be, or what a loss to close your doors for good over an incident that could have been paid for with the correct coverage. Call one of our specialists today at 844-255-8660 or click here for a quick, free quote on your liquor store insurance. Any livelihood that handles large amounts of customers’ personal property needs significant risk management; your laundromat insurance policy should be given close attention. Your business is also based on optimally functioning equipment; whether you have ten units or one hundred, their welfare should be a big consideration in your laundromat insurance policy. Details like whether your washers and dryers are coin operated, or if you offer dry cleaning services or delivery matter, as well; make sure that the professional helping you with your laundromat insurance understands the nuances involved with your business. Hours of operation. Are you open 24 hours a day? Services. Are you strictly a coin-operated facility? Do you offer wash and fold services? Dry cleaning? Delivery? Additional amenities. Do you provide coffee for customers? House vending machines? Any business’s risk management plan should start with General Liability, a foundational plan that protects you against claims of physical damage or bodily injury; your laundromat insurance should be based on this coverage. However, this isn’t where it should end. The building, your equipment, all of it needs to be insured to ensure that you can go on if an event damages the things you need to operate. 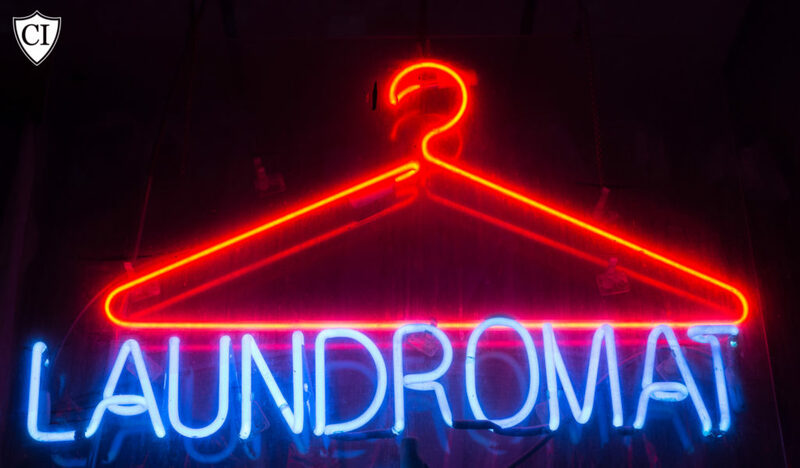 The bottom line is always an issue when it comes to running a business, and laundromats may be especially prone to cost consideration since their revenue can be unpredictable at times. A good laundromat insurance policy isn’t simply one more cost; it’s a measure that could help keep your business afloat in case of an accident or event that would otherwise cost more than you can afford. The “pay now or later” mindset applies, when gambling that less coverage is better for your budget. Affordable options for laundromat insurance exist, however, and a common tactic to simplify the insurance process is to combine coverages for business owners into packages. A “BOP” (Business Owner’s Policy) is one way to do this; Commercial Property coverage and Business Interruption insurance are put together with General Liability to form a coverage for business owners that can provide peace of mind with a reasonable plan. Call one of our specialists today at 1-877-907-5267 or click here to find the best solution for your laundromat insurance needs. Is your floral shop covered? The series of events that make up our lives–births, holidays, consolation over the loss of loved ones–are often accompanied by a gift of flowers. To own a floral shop is to provide the means to mark significant occasions; your floral shop insurance is more than your livelihood, it’s how you help humanity give gifts of beauty. History has proven that sending or bringing flowers is a time-honored tradition, but modern business practices make it more and more challenging to keep a competitive edge in the floral business; your floral shop insurance needs to cover certain common exposures to keep you thriving. Loss of inventory. Your entire operation depends on living things. A refrigeration malfunction or delayed shipment could have significant consequences if it’s not covered by your floral insurance policy. Heavy vehicle use. If you deliver, your commercial auto policy is a big part of your floral shop insurance. Make sure it covers everything it can. Client information. Repeat customers can be the lifeblood of a florist’s business; if you store client data, you may need protection in the event of a cyber loss. A cyber endorsement can be a good idea for your floral shop insurance policy. The mainstay of any business should be a general liability policy; this protects you from claims from third parties involving physical injury or damages. Your floral shop insurance should provide coverage in case a claim arises. In addition, workers compensation may be necessary if you have employees, and commercial property insurance will protect your premises and equipment. A choice often made by business owners is a Business Owner’s Policy (“BOP”) which combines General Liability and Commercial Property policies with Business Interruption coverage, which provides a way to cover some costs if an event happens that interferes with normal operations. Call 1-877-907-5267 today to speak with one of our insurance specialists about your floral shop insurance policy. Is your vending machine business covered? Operating vending machines can be a great way to own your own business with relatively little overhead and modest out of pocket start up costs…but don’t skimp on your vending machine insurance, or your lucrative dream could be short-lived. Whether you’re already in operation, and need to re-examine your existing vending machine insurance, or you’re considering jumping into the vending world and want to make sure you have the right kind of coverage before you start, looking at the reasons vending machine insurance is necessary is a good way to prepare yourself for the process of getting the right quote. Food Spoilage. Even if you’ve done everything right, the stock provided for your machines could make someone ill, or injure them. If your vending machine insurance policy covers food spoilage, this will help with damages. Bodily Injury/Property Damage. If a third party is injured by a machine, physically, or your machine causes damage to the location, you’ll need to be sure you’re insured for that. A General Liability policy covers you in case of bodily injury or property damage. Cyber Theft/Hacking. You might think, “Why would I need something like cyber liability?”, but if your machines take credit or debit cards, the potential for cyber theft of customer data might exist. The damages in situations like that can be considerable; ask your insurance professional if cyber liability is something your vending machine insurance should include. These are only a few of the areas that need to be considered when planning the risk management strategy for your vending machine insurance. Speaking to a professional who is well acquainted with the exposures common to a vending machine business is crucial, and will help provide you with a strong foundation for your business. 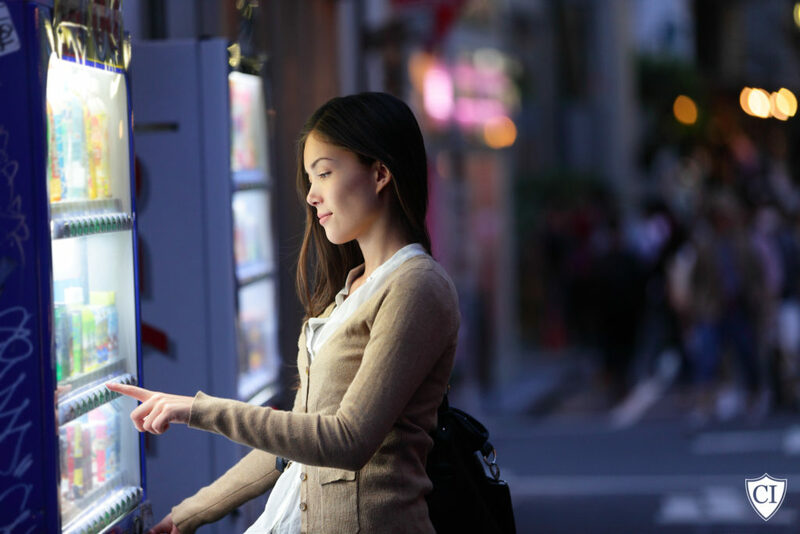 Vending machine ownership and operation is a great way to fuel your entrepreneurial spirit–but the right vending machine insurance can be part of the plan that gives it a long healthy life. Call us today at 1-877-907-5267 to check your vending machine insurance rates and get the best quote for your business.